Sylvia Fulton is a ten-years-old girl from Boston who stayed in Charleston, South Carolina, before the opening of the civil war. She loves her new home, and her dear friends. However, political tensions are rising, and things start to change. 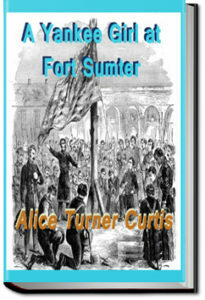 Through these changes, Silvia gets to know the world better: from Estrella, her maid, she starts to understand what it is to be a slave, from her unjust teacher she learns that not all beautiful people are perfect, and from the messages she carries to Fort Sumter she learns what is the meaning of danger. However, this is a lovely book, written mostly for children.